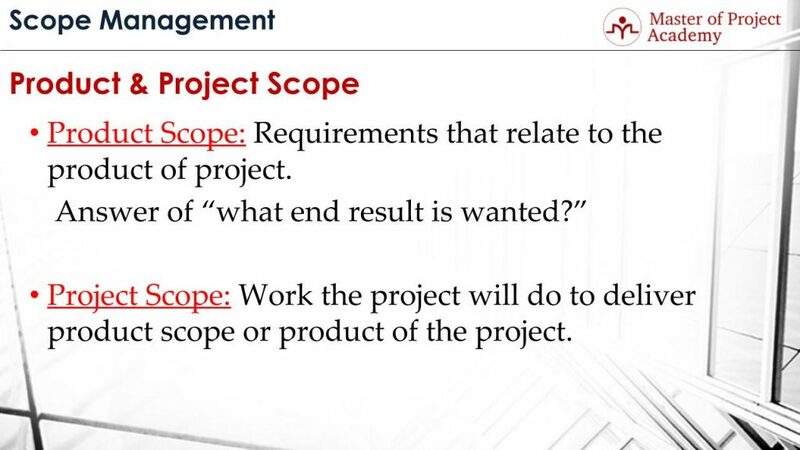 Home / Project Management / PMP / Do You Know How Project Scope Differs From Product Scope? 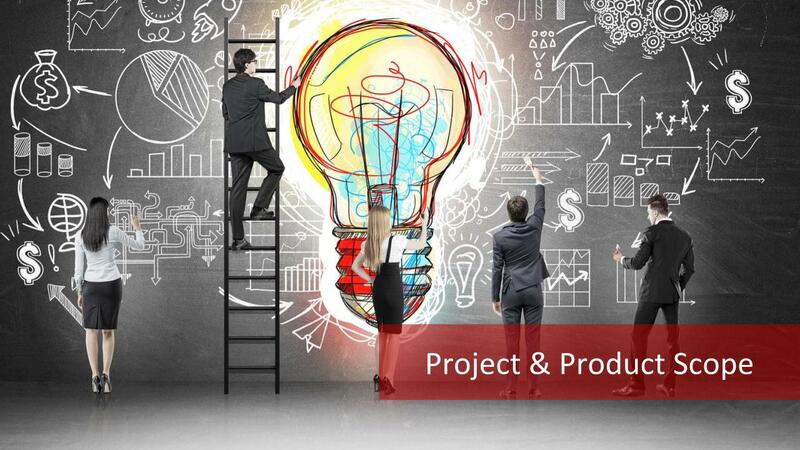 In project management world we see these two terms very frequently: Product and project. They also hold an important role in scope management as project scope and product scope. Detailed knowledge about these two important terms can be found in online PMP training courses. But let’s explore their roles in PMP scope management in this article. What is product scope and what is project scope? How does the product scope differ from project scope? Let’s begin by describing the product and project before going into the details of product and project scope. What is Project? What is Product? In the PMP certification courses, the project is defined as ‘a temporary endeavor with a beginning and an end which creates a unique product, service or result’. This is the definition of the project according to PMBOK. An example of a project might be the construction of the Golden Gate Bridge which started in 1933 and ended in 1937. And needless to say that the bridge has been built only once, so it’s not a periodically repeated but a unique product. Now, let’s explore what product is. A product life cycle begins from the conception of a new product and ends with its withdrawal. During the product life cycle, multiple projects might be required to be delivered. For instance, iPhone is a product. Does Apple still produce the old versions of iPhone? No. But since the conception of this product, until the end of its life cycle, multiple projects must have been executed for improving it. We have seen the definitions of these two concepts, now let’s define what project and product scope are. What are the Definitions of Product Scope and Project Scope? Product Scope describes the requirements that relate to the product of the project. For instance, we can consider an e-commerce shopping website example, which is supporting 1 million members, sending vouchers to inactive members, supporting 1,000 members concurrently, enabling secure transactions. These are all examples of requirements that are in product scope. Briefly, product scope answers “which end result is wanted?” question. Because product scope describes the features of the end deliverables of a project. On the other hand, Project scope describes the work the project will do to deliver product scope or product of the project. In order to deliver the e-commerce shopping website, you need to do scope management, cost management, resource management and many other activities. All of these activities to deliver the end results of the project successfully are considered as Project Scope. 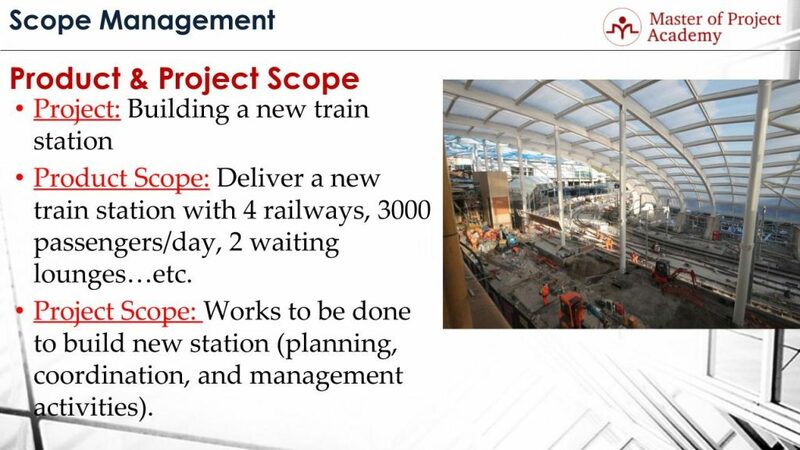 Let’s describe Product and Project Scope over a train station construction project example as well. The project is building a new train station. Product Scope is delivering a new train station that will have 4 railways, support the traffic of 3,000 passengers per day, including 2 waiting lounges etc. As you see, these are all features of the train station once the construction project completed. Project Scope includes works to be done to build a new station. For instance, procurement of the materials, acquiring construction workers, controlling project budget, planning schedule and many more project management activities are in project scope. The Product and Project Scope are two important terms of scope management. A project manager should be aware of their definitions to conduct a successful scope management process. You can assess your own knowledge about the product and project scope with the help of sample online PMP exams. 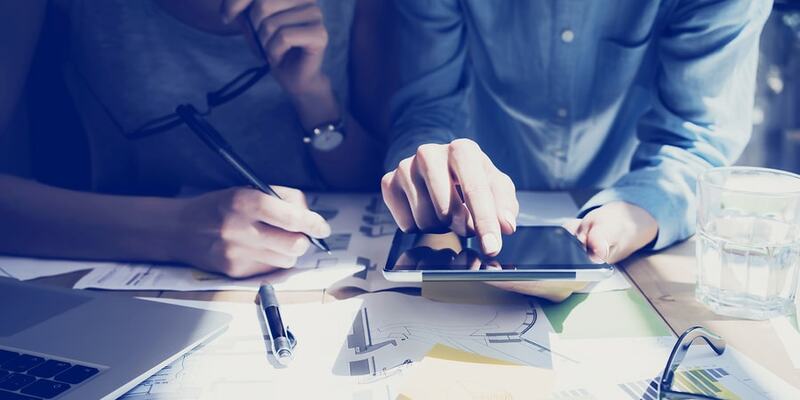 What Are Requirements Management Plan & Scope Management Plan?